Ralph Nader On What He Thinks Apple Should Do With Its Excess Billions The longtime consumer advocate says that now that Apple is a trillion dollar company, it could be doing more for its employees and shareholders. 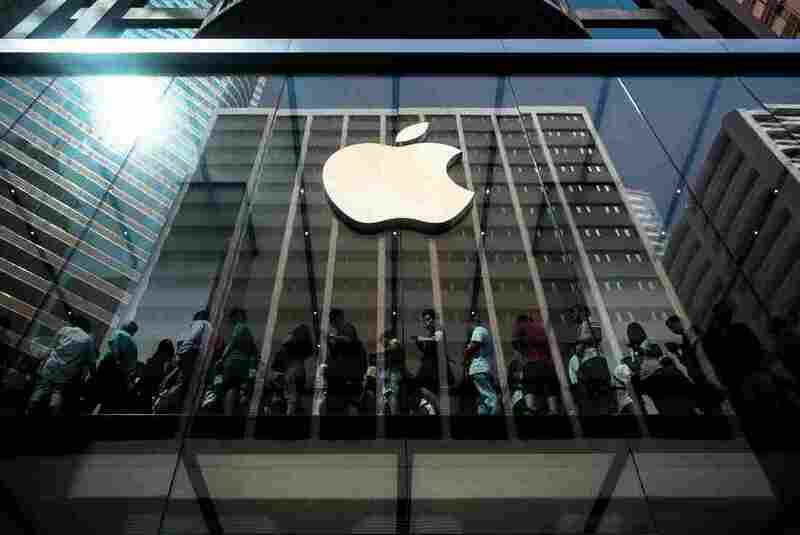 Earlier this month, Apple became the first private-sector company to be worth $1 trillion. In an interview with NPR's Scott Simon on Weekend Edition Saturday, Nader voiced his concerns once again, expressing disapproval of how Apple is spending its excess billions. "It could have been used to increase [the number of] employees. It could have been used to shore up the pension fund," Nader says of the money Apple spent on stock buybacks. Additionally, Nader says, the money could have been used to improve recycling practices for old phones and computers, productive investment, research and development, or even given back to shareholders in the form of cash dividends. "The kind of income that the Chinese workers are making, under tremendous pressure by their contractor, is really not a living wage, even in China," Nader says. When Apple announced earlier this year that it would bring an additional 20,000 jobs to the U.S., it also said it would bring back billions of dollars. Still, Nader says, "While they know how to make enormous money with their overpriced iPhones, they don't know how to productively use it." As Nader continues to offer suggestions for how Apple can use its profits, he admits that he is not an Apple user — no iPhone, no computer, just his Underwood typewriter.